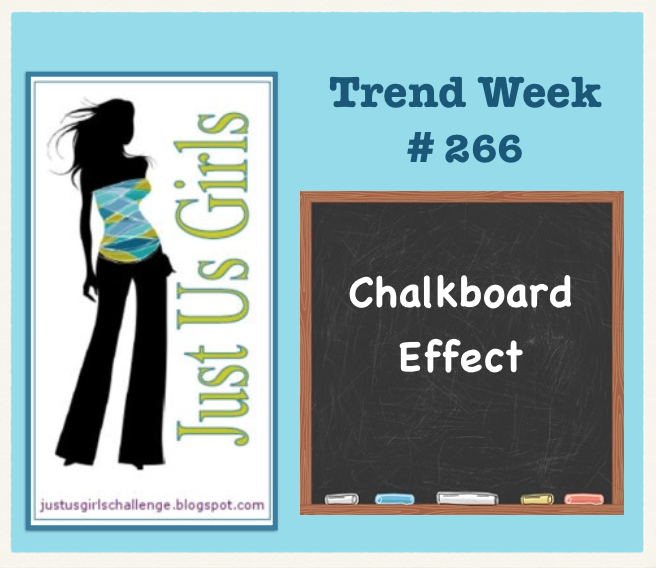 It’s time for a Just Us Girls Challenge and Chris one of our newest members is hosting and she has selected a Chalkboard technique for us. I was thrilled to see her selection! I have been wanting to try my hand at it. I went very simple this week as it has been Cray Cray as the kids always say, and it’s all I had time for. I am happy with the results, so that is a plus! The sentiment is from Stampin Up and the ribbon is so cool and something I picked up who knows where. I think JoAnn Fabrics. Hope you have a wonderful weekend and come on over to JUGS and play in our challenge. While your there check out what the other design team members have done…plus our Guest Designer Tajanna. She is very talented too! Remember If you are selected as Chic of the Week you will be in the running as a possible Guest Designer with us in the month of January! Categories: Cards | Tags: Card making, Cards, chalkboard technique, rubber stamps, stamping, Stamping Up, Thinking of you | Permalink. I’m really finding it hard to believe that this is the first chalkboard card you’ve made – it’s fantastic Nancy! Love the pop of pink and that wonderful lacey ribbon! Well, this simple card, as you call it, is wonderful. Love the sentiment, it is perfect for the chalkboard effect. The “pop” of pink shows it off very well. I love how your layered label turned out! I really like this clean design and great colors you used. What a neat card. Great color choices too! Great job with this technique. Love the pop of pink with the black. Have a great weekend my friend. Love that technique! Pretty colors and design, Nancy! Love your layout Nancy and that lace is gorgeous. the touch of pink is so right. Great chalkboard card. Your sentiment label looks like a belt buckle, Nancy. You could do this again with different colors for the background and make a masculine card. I love how it turned out.